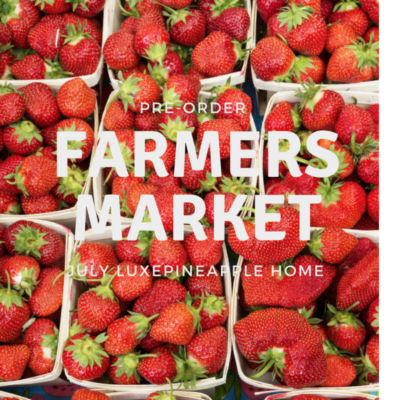 Luxe Pineapple Post Home Box is a bi-monthly box from LuxePineapple, featuring LP finds for the home including artisan crafted items, kitchen+baking, home textiles+linens, office must-haves, decor, specialty cleaning items plus more. 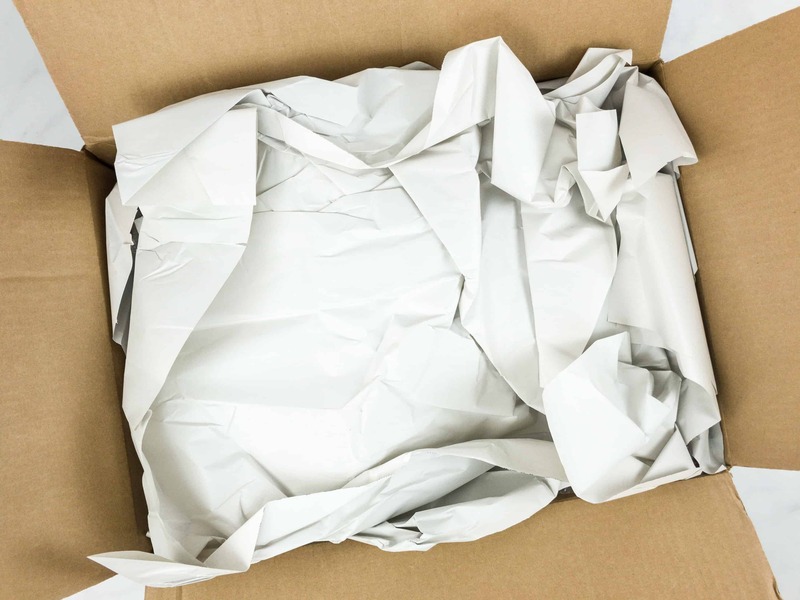 It looks like this box is still available as a one-time box but subscriptions are currently not open. 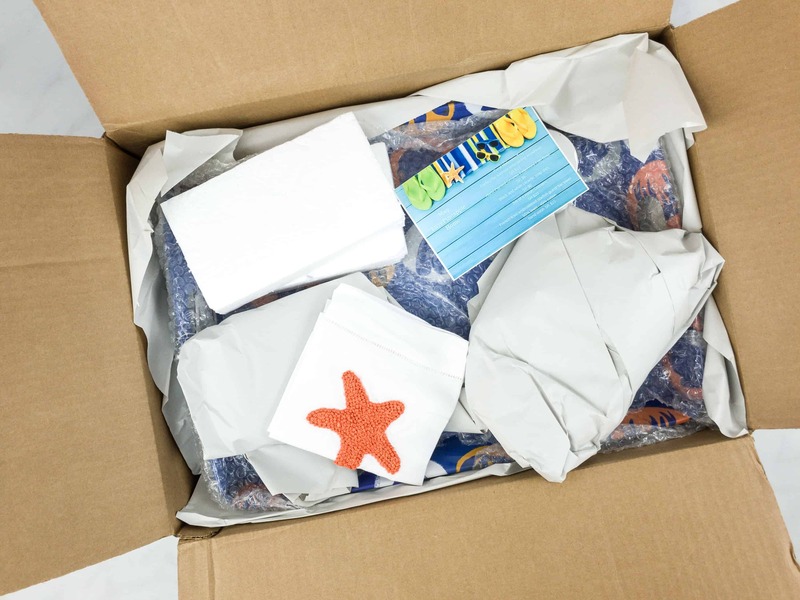 The box includes an information card that lists all the items with a brief description for each. Everything inside the May 2018 box! 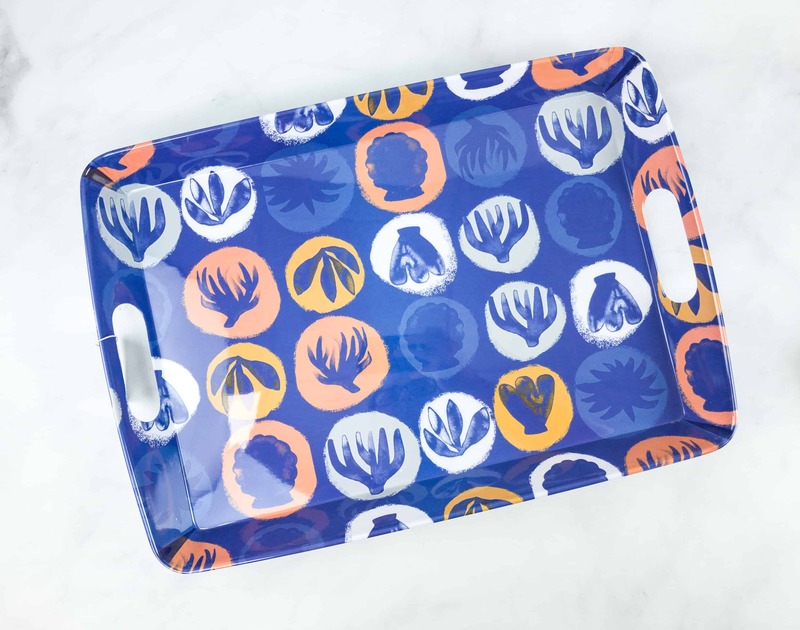 Coral Melamine Tray ($13) It is a regular-sized tray with handles easy for serving food and drinks for parties or tray for dinnerware. 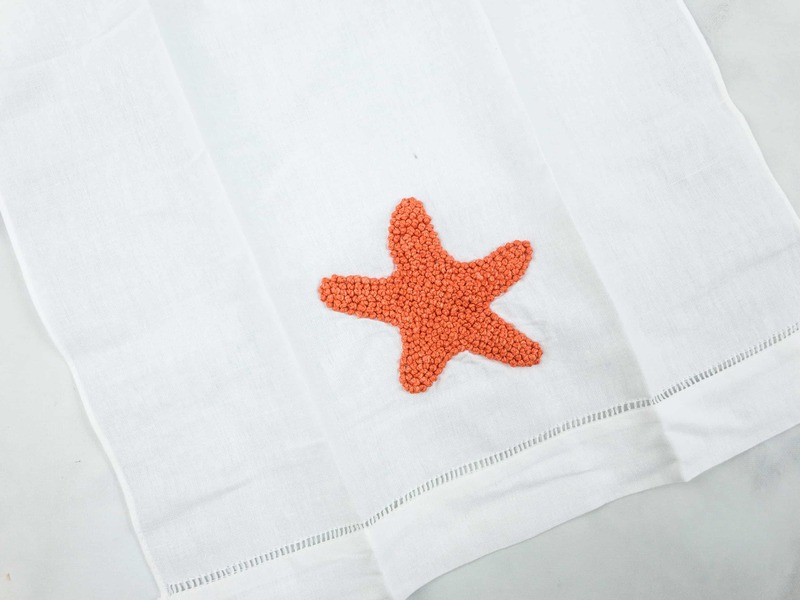 I love the lively color combination and its coral design. 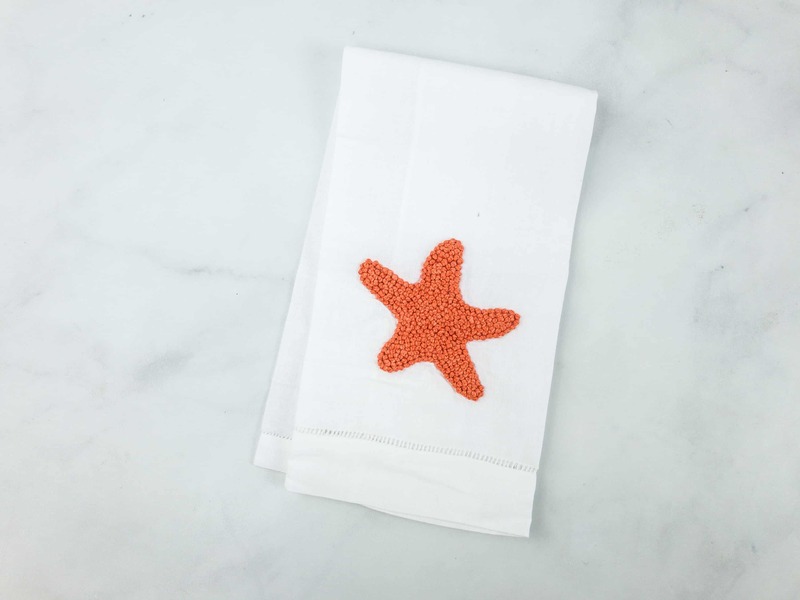 Fresh Knot Embroidered Starfish Guest/Bar Towel ($15) The towel is well embroidered and the starfish stands out because it contrasts the white cloth. 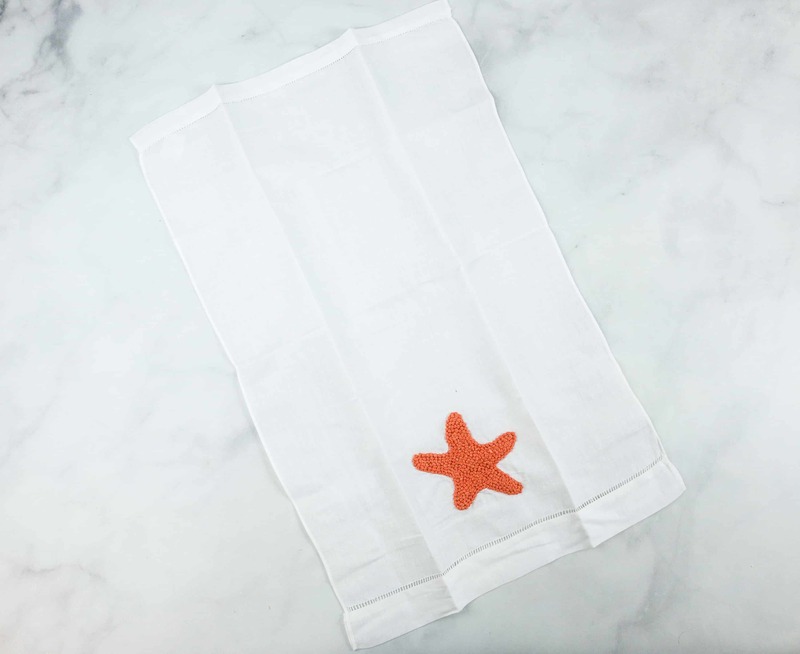 It is tri-fold lengthwise towel long enough to hang. It is not made up of thick material, but enough to absorb liquid. 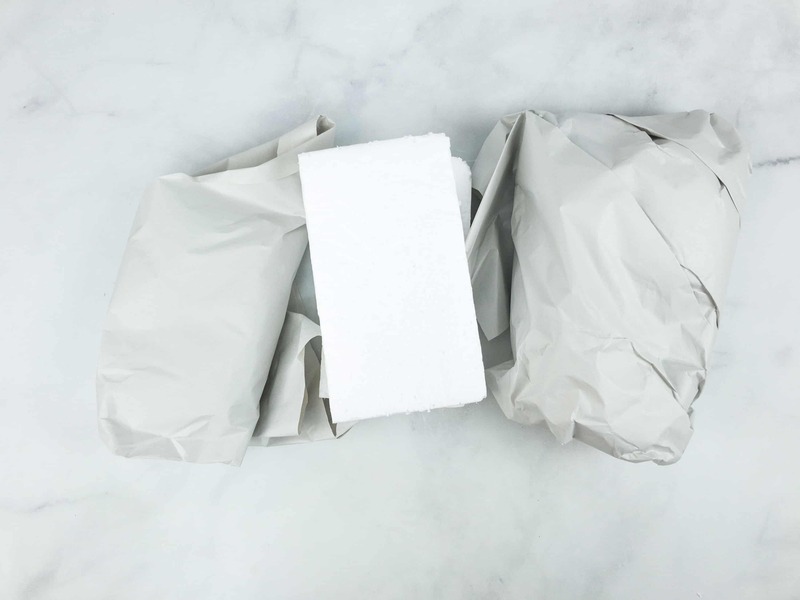 Everything is wrapped in paper and had styrofoam included in the packaging. The papercrafts come in brown and white, and neatly placed in a plastic. 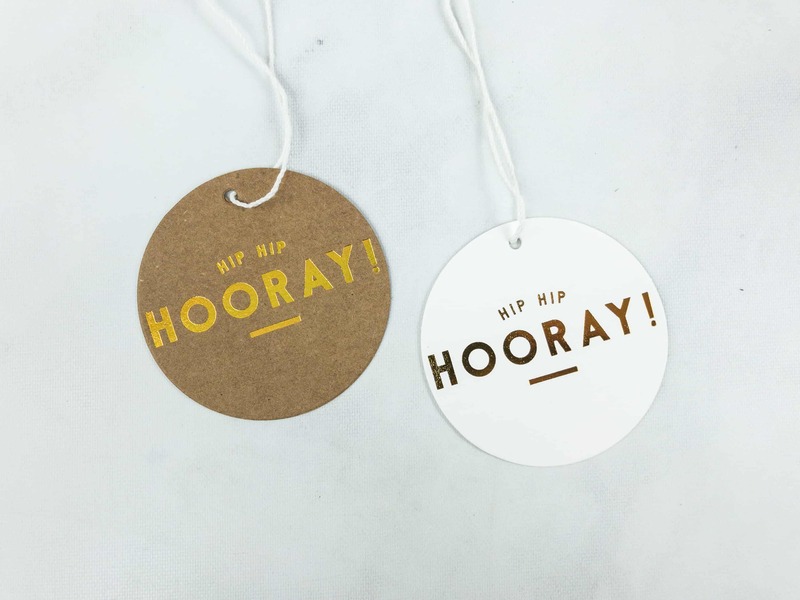 These paper tags certainly put us in a celebratory mood as it says “Hip Hip Hooray” in gold letters. 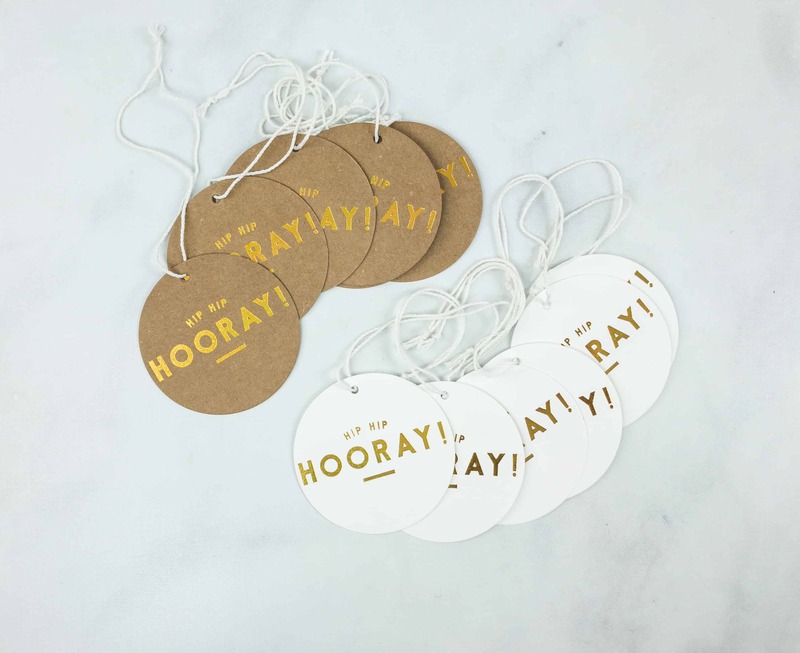 They all have loop strings attached to the card so you can hook or hang them for decoration or for any purpose you like. I’m not really entirely sure what to use them for! 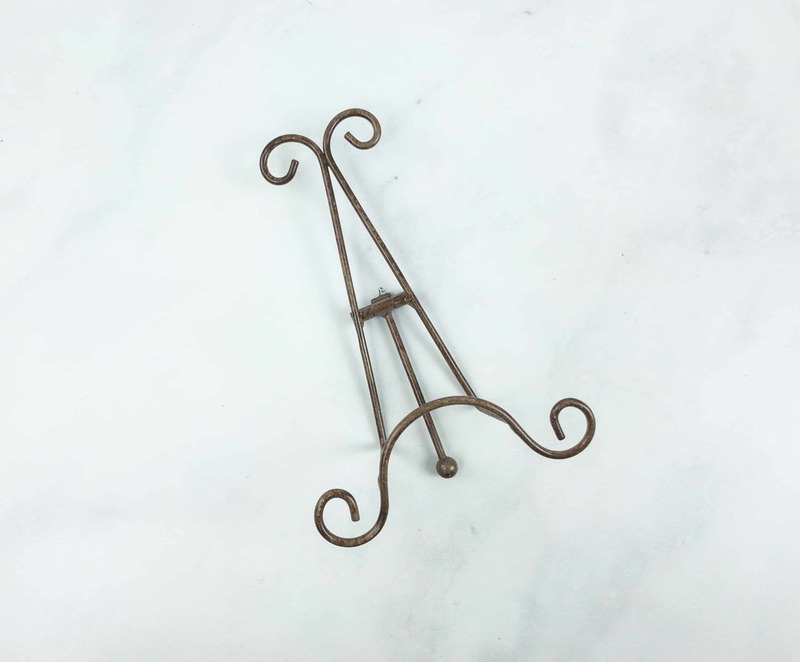 Maybe to write guest’s names on for wine? Seems unwieldy. 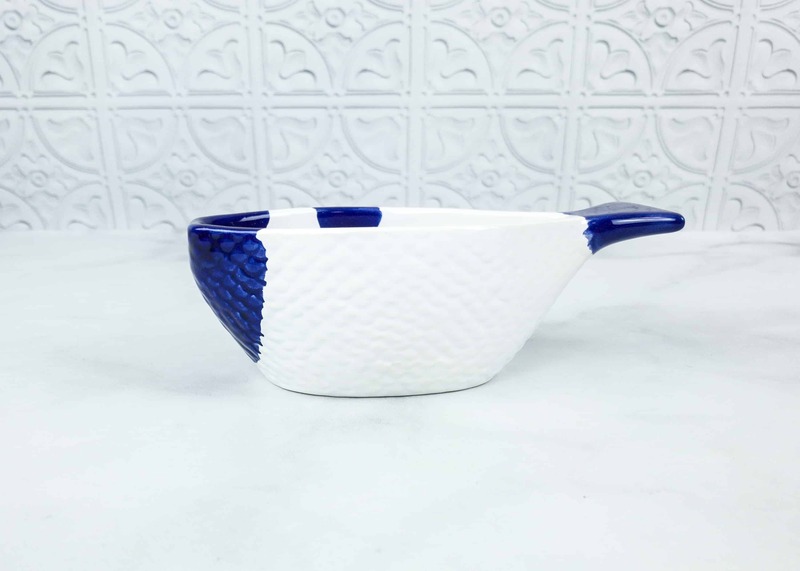 Hand Painted Ceramic Embossed Fish Bowl ($6) It is a 6″L ceramic bowl that resembles a fish through its shape and scales detailing. 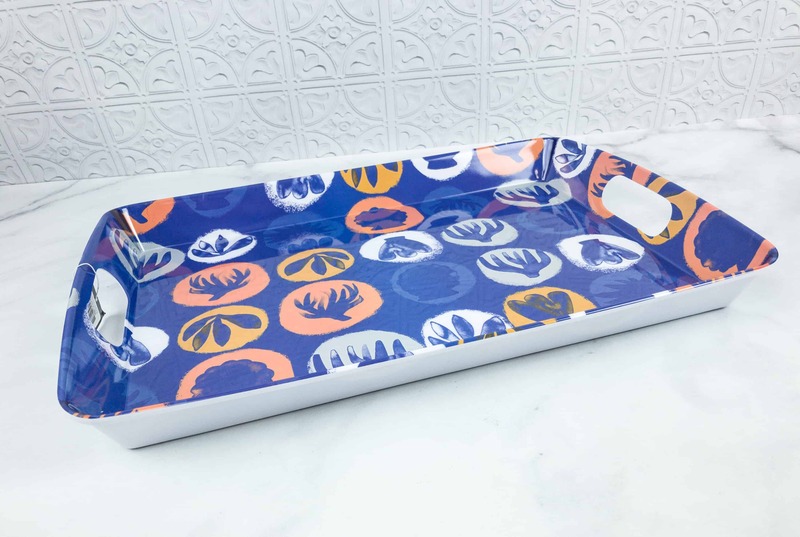 It’s a spacious catchall dish and its unique design makes it a good addition to the themed items. 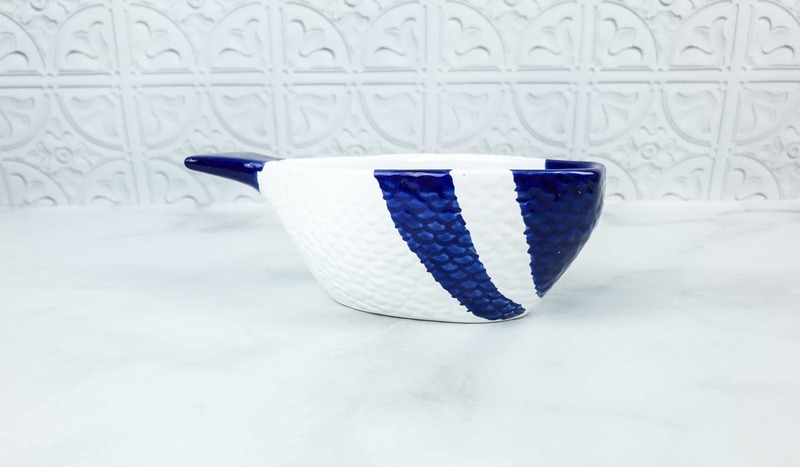 You can see the emphasis on details of the embossed scales through the blue hand-painted color. Stand. This is a very neat and trendy display for the next item! 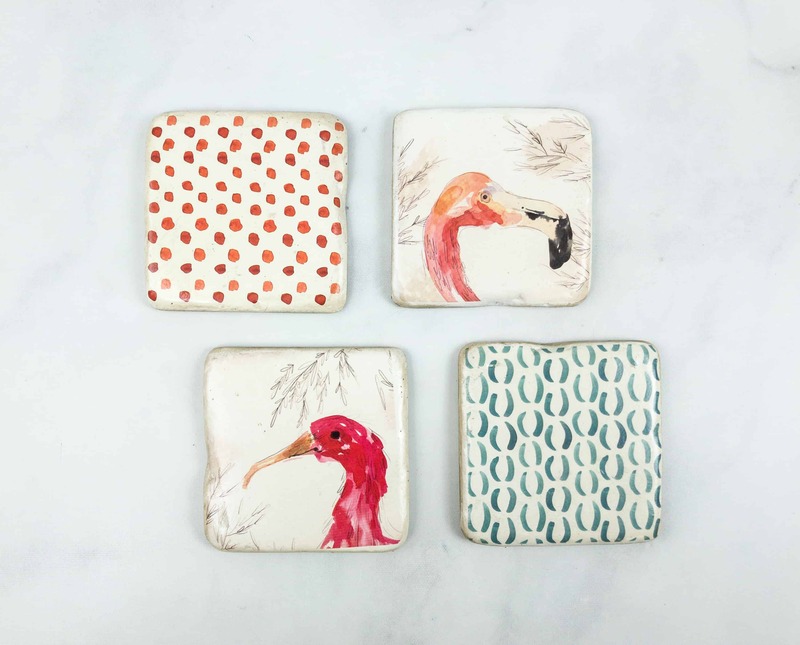 Resin Coasters ($20) These four coasters are works of art. I appreciate their raw and natural hand-painted beauty. All the resin tops have corkboards at the bottom with the artist’s signature. 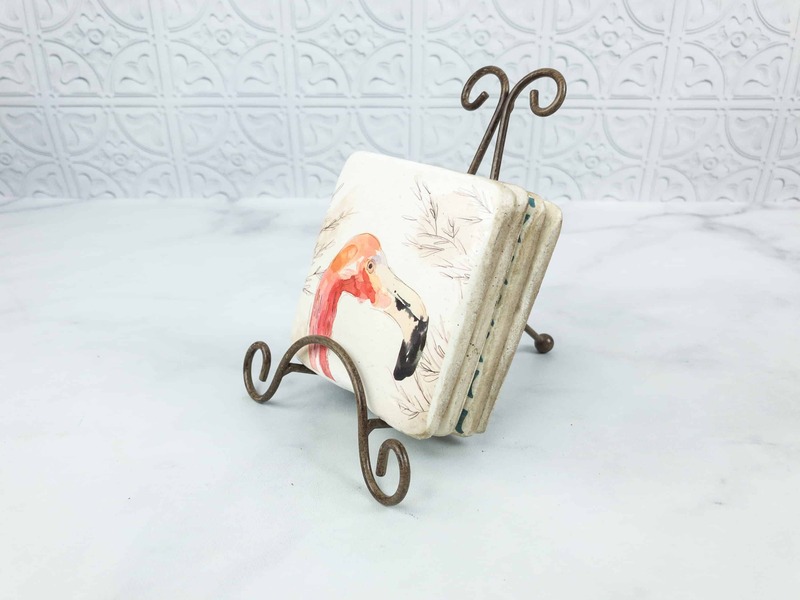 When the coasters are not used, we can store them on this stand for display. 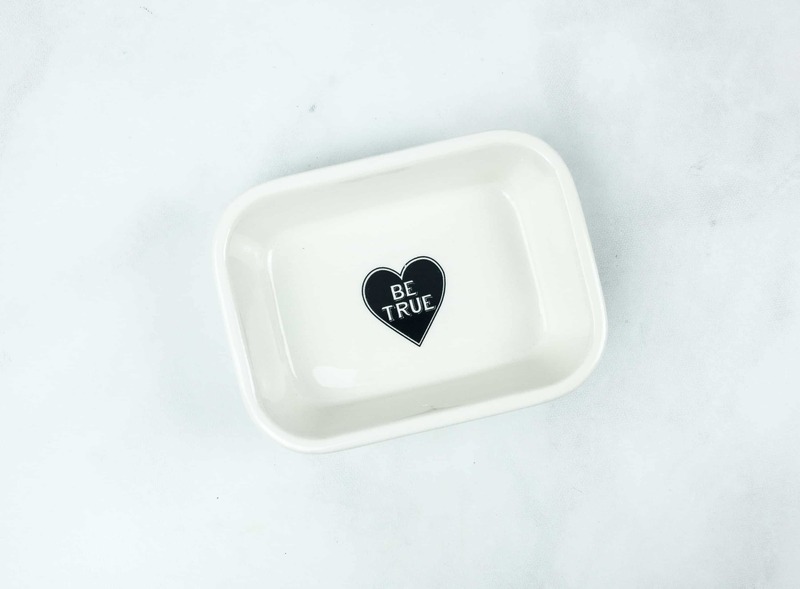 Black & White Ceramic Soap Dish ($6) I like the quote “Be True” written in the middle of the black heart. 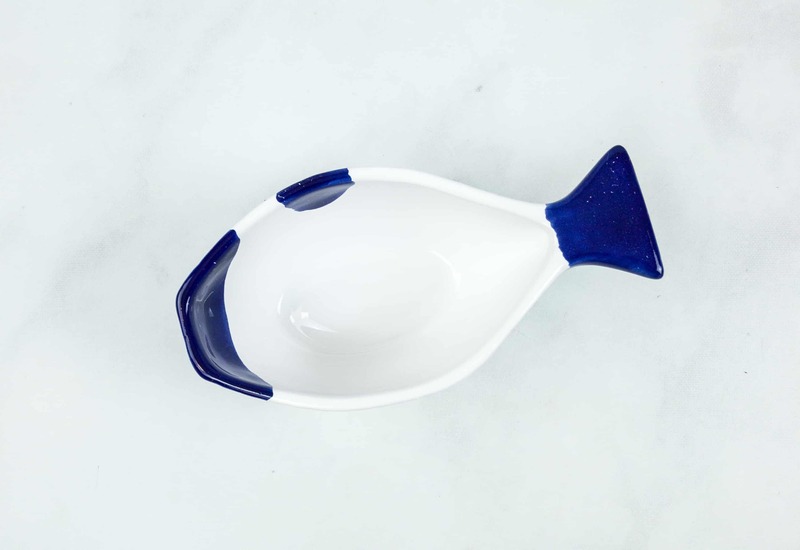 It can perfectly hold a bar of soap without slipping. 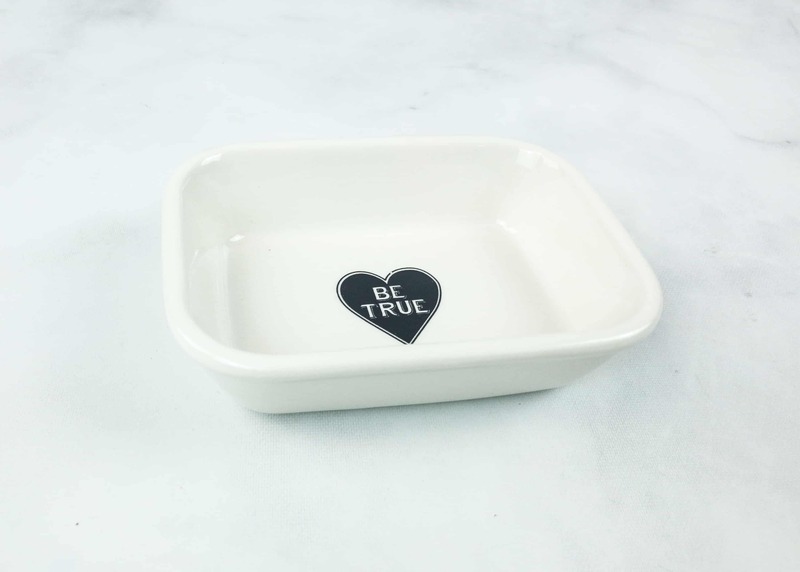 I know this is a soap dish but we can also use it as a container for trinkets or a decor item for our work desks because of its simplistic black and white design. 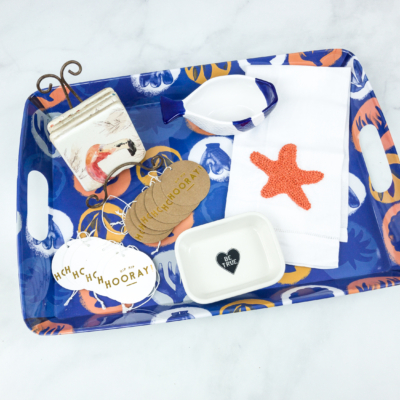 This box included six different items we can use in our home and most of them are summer-themed. 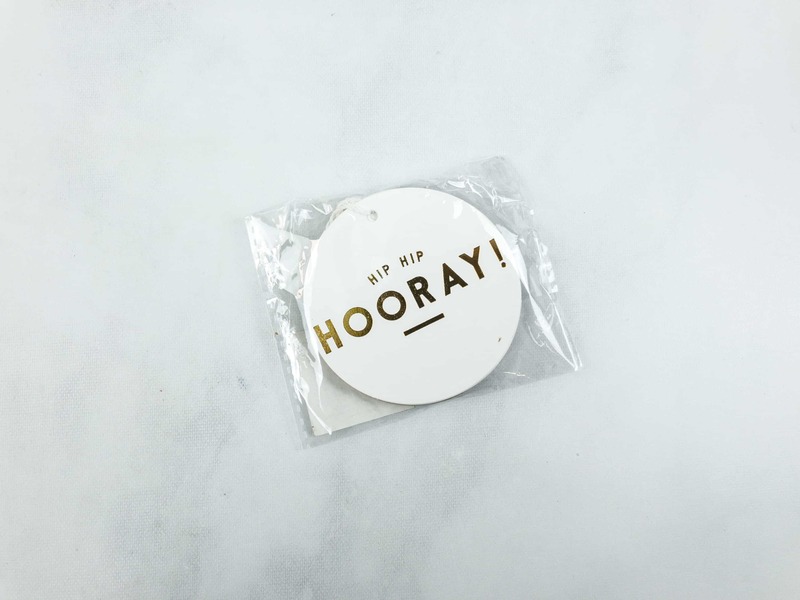 It’s so random to have those celebratory Hip Hip Hooray handicrafts and I would’ve preferred another fish bowl but at least they made an effort to offer a wide selection. 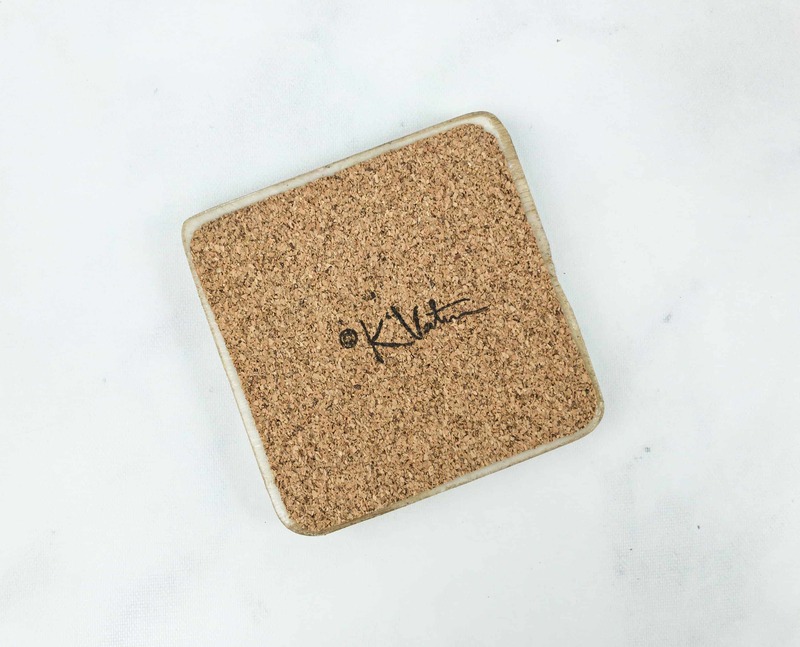 My favorite is the artistic resin coasters because they are unique pieces of art. The also gave us items that are multi-purpose and can be used on whatever we deem them necessary. 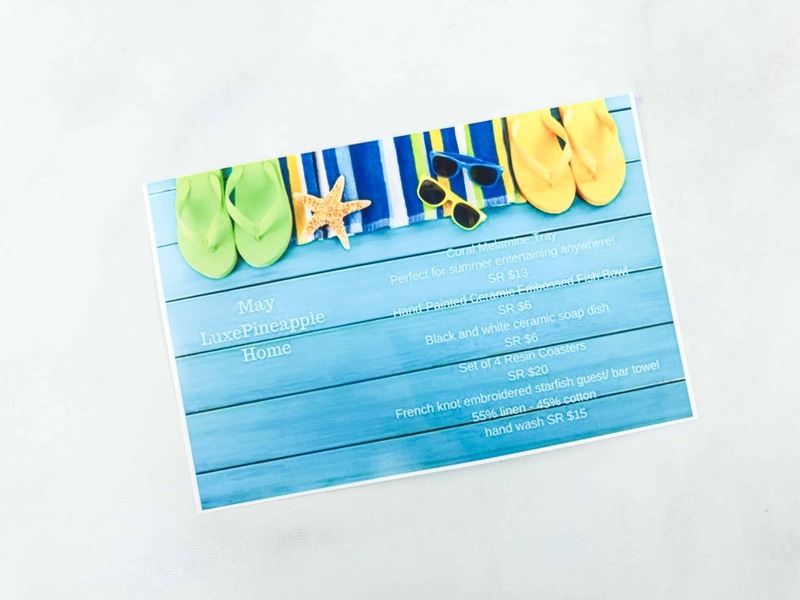 I love that Luxe Pineapple continues to give us cool stuff to amp up our home decor and this is a fun set for summer entertaining! What do you think of this month’s box? Let us know in the comments! 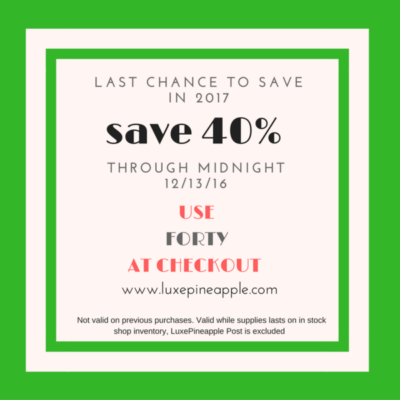 Visit LuxePineapple Home to subscribe or find out more! 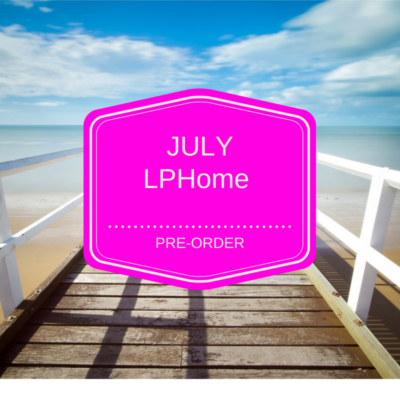 Elevate the ordinary with LuxePineapple Home. 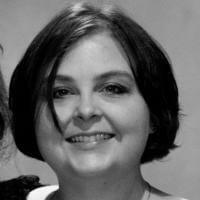 Expertly curated by the LP team. 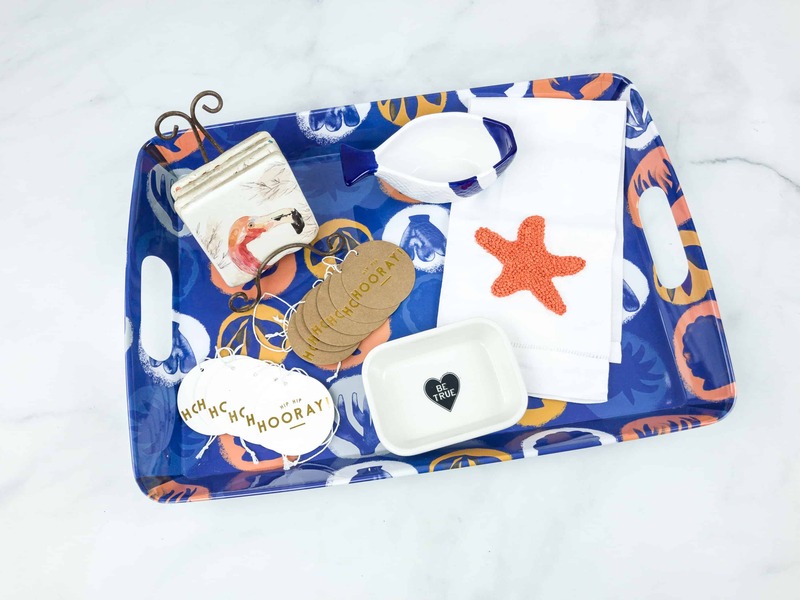 This lifestyle box includes 4 or more LP finds for the home including artisan crafted items, decor, kitchen+baking, office must-haves, home textiles +linens, specialty cleaning items plus more. This is a gift-ready beautifully presented box with a hand tied fabric bow. It seems they’re no longer open and I’d urge anyone that has a prepaid sub or that recently subscribed during their sale to contact their credit card company or bank and show the screenshot of down site. What happened to LuxePineapple? I just saw their website is gone. It’s very cute! But, perhaps for a lesser price point. Not feeling the Luxe.